“How to Mix Cinematic Music” is brought to you by EMMY nominee, Guy Michelmore, an award-winning composer who has worked for major movie studios including Marvel, Disney, Dreamworks, Lionsgate and many more. Joined by Jake Jackson, Spitfire Audio’s lead mixing engineer, this 5 step short course will show you the exact same workflow used by professional composers and mix engineers. And yes, it’s completely free and delivered straight to your inbox. We are the world’s first online post-graduate degree providers in film, TV and games composition, orchestration and sound design. For almost twenty years, we have been teaching composers important skills and techniques to give them the edge in the film and TV industries. 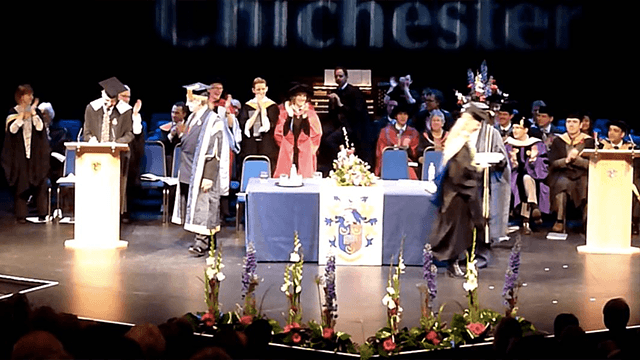 In 2015, we partnered with the University of Chichester to launch our first post-graduate degrees. This year, we have expanded to include degrees in Game Composition and Sound Design. We pride ourselves in the fact that all of our courses are produced and taught by experienced composers and orchestrators—most of who are at the top of their game.